This course is aimed at people who work, interact and care with the sufferers of Autism. 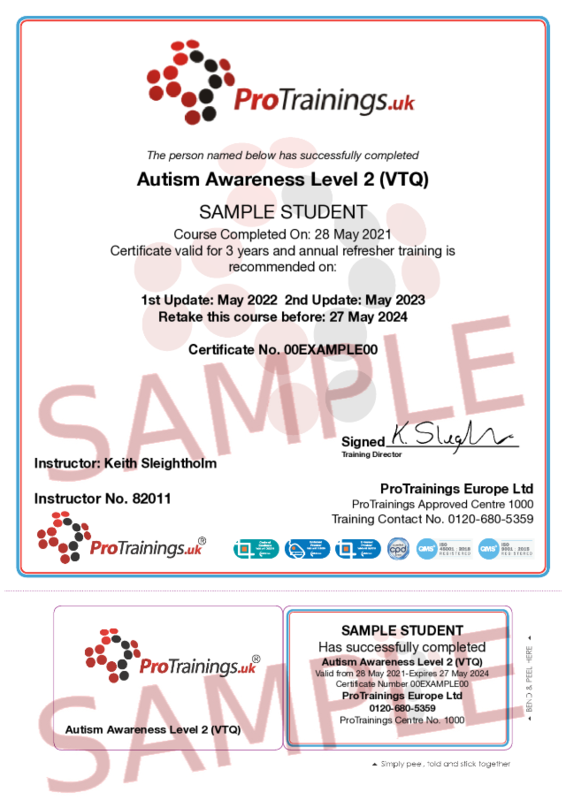 The course will also help you to understand the basics of Autism, its condition and how to help them. Autism affects one in one-hundred people in the UK. Over 700,000 in the UK are Autistic, which means that 2.8 million people are on the autistic spectrum. Autism is a life-long condition affecting both children and adults and affects 5 times as many boys as girls. About a third of people with autism also suffer from seizures.